As I was looking up the scent of this bath bomb – because I am terrible at describing scents – I found out that this has the same scent as Snow Fairy – mind blown. In my post where I hauled this product I mentioned I thought it was like an old bath bomb called Satsumo Santa, well I was completely wrong. After some research I found out that Satsumo Santa was citrus scented – clearly I didn’t remember it all that well. 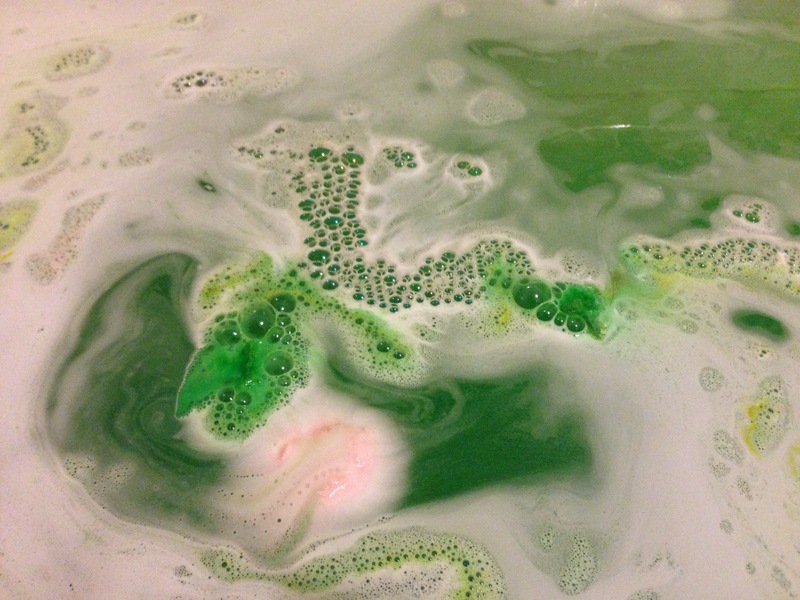 Lush Father Christmas Bath Bomb looks like it is going to turn your bath red right, wrong, it turns it a festive green colour which was a nice surprise. I can’t say I could smell the Snow Fairy scent but it did smell lovely. Again the smell didn’t last once it had dissolved but I have come to the conclusion that it is not supposed to. I am not sure what else I can say about this product, I enjoyed using it but I wasn’t wow’ed by it so I probably won’t be purchasing it again. There are other bath bombs I like better unfortunately. 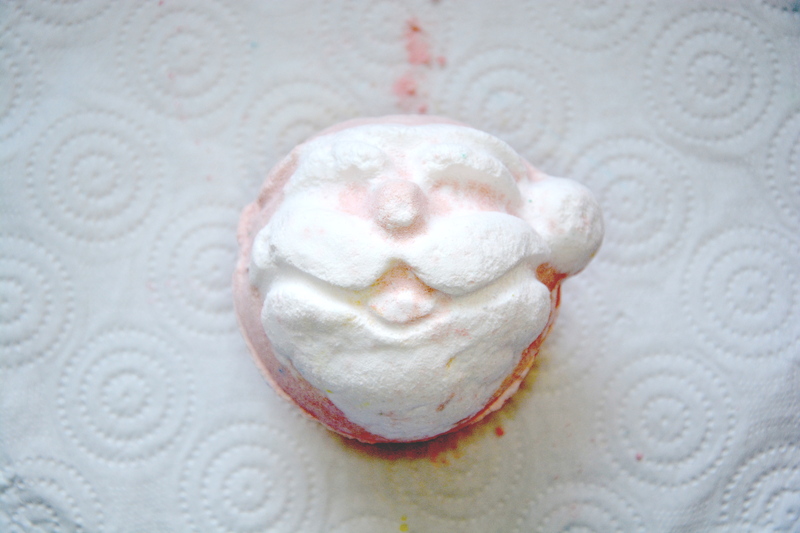 Lush Father Christmas Bath Bomb retails for £3.50 and is available here. No problem 🙂 I had the same feeling with the Sparkler (yellow but Rose Jam fragrance) – I just associate certain colours with certain scents so it’s weird to see them in different combinations!